Have you noticed the feather trend? 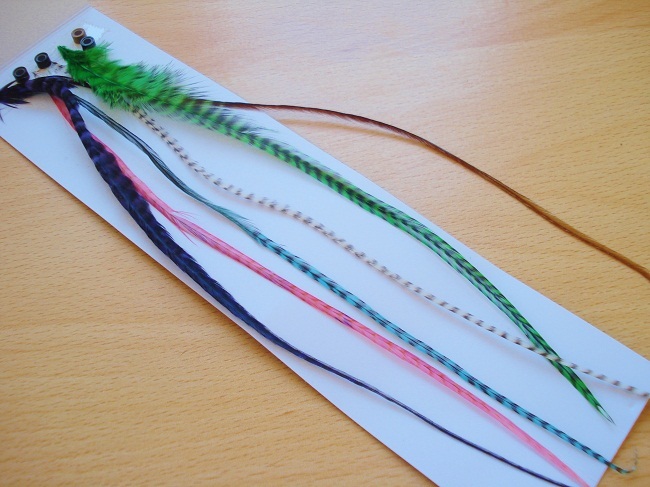 Feathers are big news right now with countless feather patterned clothing, feather hair clips, head gear and jewellery. My favourite part of the feather trend is the hair extensions. I fell in love with them after seeing Jennifer Love Hewitt sporting them for a photoshoot. Anyway, I tried to buy them over Ebay (as you do) but I couldn't find any nice ones. 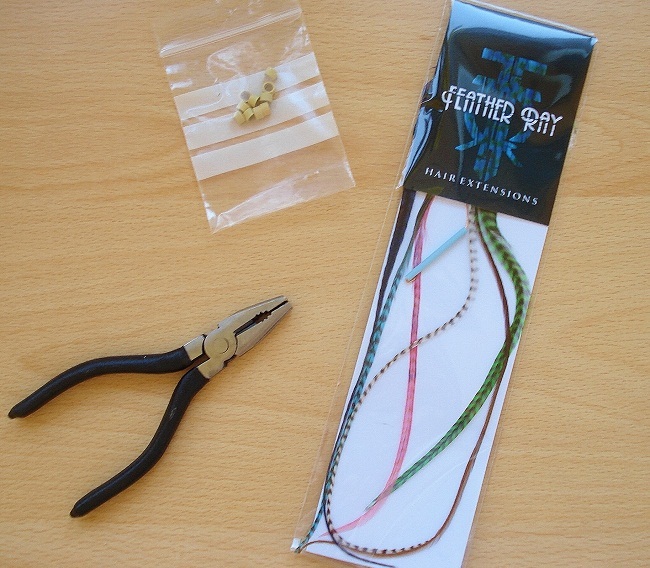 In the end I came across a company called Feather Ray. They sell lots of different colours and designs including these "festival" ones, which come in vibrant, fun colours. They also have a clear video showing you exactly how to apply them, which I found really helpful. 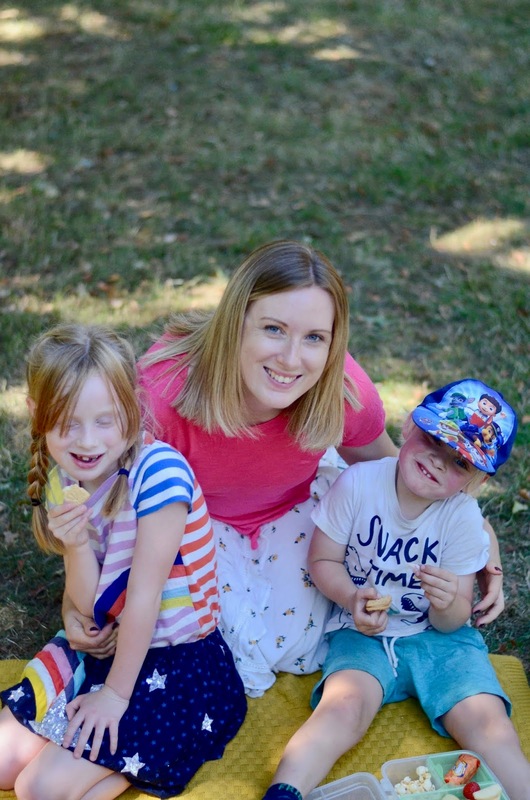 I bought these a couple of months ago, but thought I would wait until after I had given birth and had my hair re-bleached again to use them! I did wonder whether to get clip-in extensions as I was worried about damage to my hair and how I would remove them., but I took the plunge and went for the real thing. They really are so easy to apply. You use the loop to thread the bead onto your hair and then push the feather through. Then you use the pliers to close the bead into position. To remove them, you simply clamp the bead with the pliers the other way to open it again, and it just slides out of your hair! Easy. As for damage, I didn't feel like it was damaging my hair, and they are very easy to remove. The website states that any hair that falls out is simply hair that would have fallen out anyway but has been clamped into position. I think they look really cool and are a fun way to add some interest to your hair without doing anything too drastic or permanent. You can of course buy more subtle colours than these which would blend in more, but I liked these colourful designs! 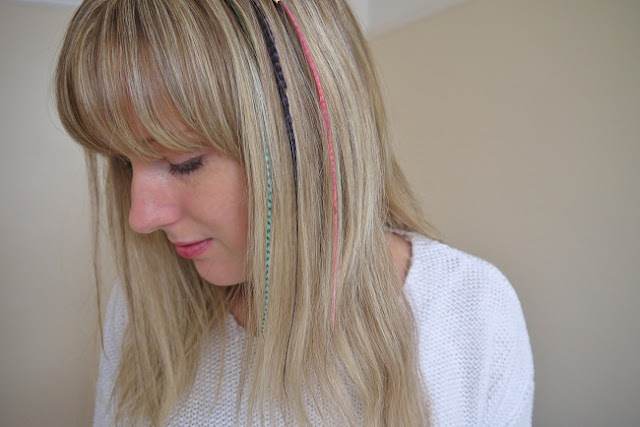 What do you think of feather hair extensions? They look lovely! I've wanting some of these for ages now, so definatly going to have to check out that website! 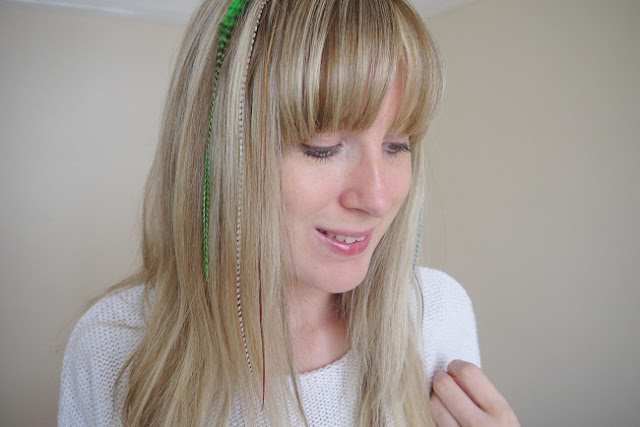 I love the feather hair extensions but I had trouble finding a good brand. I ordered 3 online but they are too thin and you can hardly see them! They are a great quirky way to accessorize without spending a lot of money. The feather hair clip trend is a quick way to hype up your style in a fun and quirky way. Although, while it looks adorable on girls like you, it might look a bit childish to others. I'm just glad trying those on didn't damage your hair even the slightest. Thanks for sharing that, Emma! Stay gorgeous! These are really very nice Hair Extensions, it is really very unique. Thanks for sharing.